The Mid-Atlantic Great Dane Rescue League, Inc. (MAGDRL) was organized in 1979 to serve the seven states of the Mid-Atlantic region. It now covers NY, NJ, PA, MD, DE, VA, DC and WV.. The organization is a DC corporation and has a charitable tax-exemption under code 501(c)(3) of the Internal Revenue Code - 52-1177018. MAGDRL is staffed completely by volunteers. 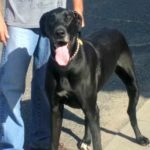 Therefore, 100% of the funds donated to our organization are used to help our Great Danes. 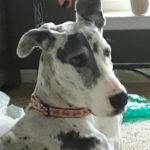 Like all humane groups, MAGDRL is in the unique position of helping both humans and pets. 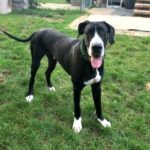 In our case, the pets are Great Danes and mixed Dane dogs, and the people are all those who have or want the companionship of the breed or often, just dogs in general. get a one year subscription to the famous RESCUER'S RECORD! 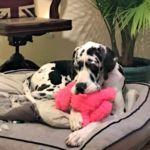 This publication is known far and wide as an excellent read and is chock-full of great articles, rescue stories, adoptable Danes and more! Pages and pages of Dane news. To do this, MAGDRL screens the applicant and the home, checks references and enters into a legally binding agreement with the adopting family. 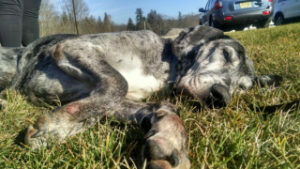 We require that the rescued Dane be kept inside the house: a member of the family.